In the past few months we’ve seen colourways range from the sublime to the ridiculous. Safaris to Windchills, Intense Greens to Max Oranges, Oxbloods to Tender Shoots. 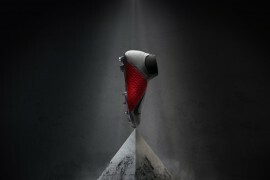 But we want you, Footy-Boots.com readers, to be honest with us here – have you seen any football boots more bonkers than the new Puma PowerCat Tokyo? Inspired by Tokyo’s electric Akihabara district, the new Puma PowerCat Tokyo is all about distinct visual flair and eye-catching neon tones wrapped around the PowerCat 1.10’s now-familiar design. The Two ‘Big Cat’ designs on the instep and outstep of these striking football boots get something of a Yin-Yang treatment, with the boot being white on one side and black in the other. 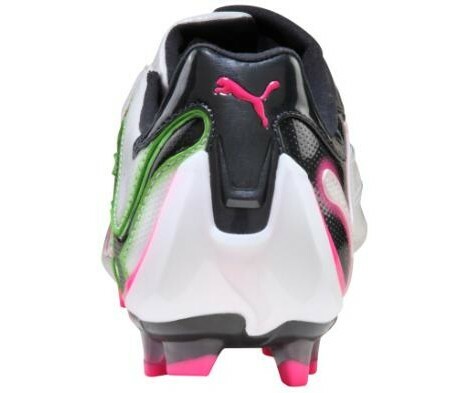 This apparently gave Puma license to introduce more bold colours into the design; with the logo Black and Green on one side and White and Pink on the other! 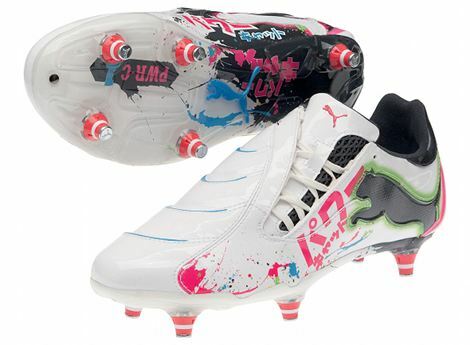 The madness isn’t just contained to the upper either, as the Kanji lettering and spattering of eye-grabbing colours spreads to the sole plate – with Puma even going as to give both SG and FG versions of the Puma PowerCat Tokyo pink studs – flashy! 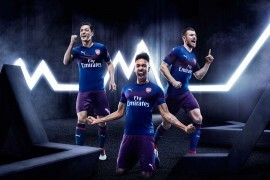 Something that we like to do here on Footy-Boots.com is talk about which team’s kit would be a great match for a new colourway, but unfortunately we’re struggling to think of any! 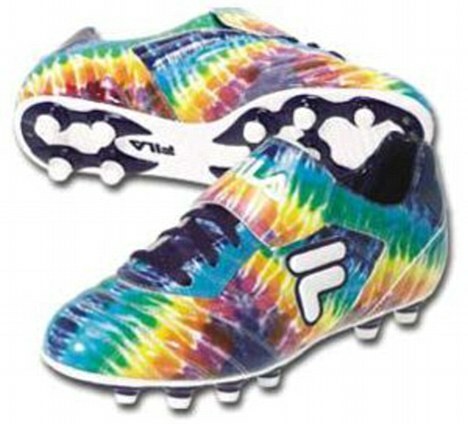 In fact, we’re wondering whether any players out there will fancy wearing a pair of these exceptionally OTT football boots! In fact, when they do we’ll post an update on this article and give them a pat on the back! One interesting fact that might be make-or-break for any of you guys looking to buy, is that the Puma PowerCat Tokyo mark the first time that any football boots in the Powercat range have been made out of Synthetic rather than the the excellent leather that has been a hallmark of the series. The Puma PowerCat Tokyo are available in store right now, and have an RRP of £119.99 should you fancy saying Konichiwa to a pair! 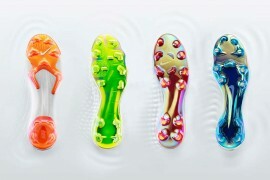 Puma clearly have a pair of football boots on their hands that are going to get people talking. But what do you think people will be saying? Good design that pushes boundaries? 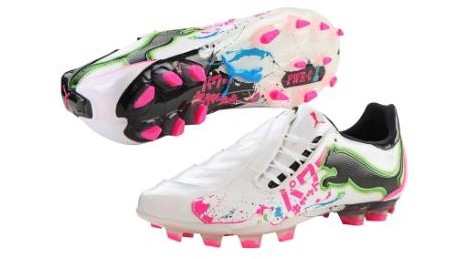 Or have football boots finally gone too far!? Join the debate in the comments below! cool shoes. I might get them. some people recognize me for i’m always against colorful football boots like the green T90s, pink mercurials, or orange F50s. but this boots are simply out of that league! i mean, u’ll have all the reason to mock a nerd that try pimpin’, but u just can’t blame a pimp for looking pimpin’!! @James: my Japanese are not that good, but the writing doesn’t demand a genius to read. the huge letters says: PAWAA (power), and the small letters says: KIYATTO (cat) -plz correct me if i’m wrong. anyone with a bit of knowledge about katakana letters could read those. 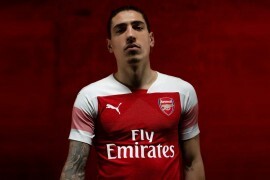 Puma and there braveness have started to grow on me recently, i really wanna try a pair of some boots in the puma range before i buy them, i would like to see how they are comfort wise, but looks and colorway wise, puma are dominating. 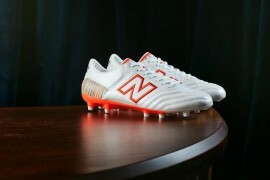 update: chiellini and buffon himself wear this boots on Italy vs Germany match!!! just google it. I was surprised at how great they looked on the pitch last night. I think we’ll see more players in them this weekend. Were can you get the SG version of these? Can’t find them on any sites!!!!! donde se pueden comprar estos zapatos ?